O holy Priest of Ars, you lived in an age of much upheaval, in a time when men turned their backs on God. Your bishop told of a parish to which he wished to send you where there was no love. He assigned you to Ars and said that you would be the Priest who would enable the people to know the love of God. Not only did you draw these people back to God, but your saintly reputation soon spread and many people were converted to a life of holiness. You said that a good Priest, a Priest after Christ’s own heart is the greatest treasure that God can give a parish. Give us such Priests! O great St. John Vianney, once again we are living in day of upheaval. There is much evil in the word. 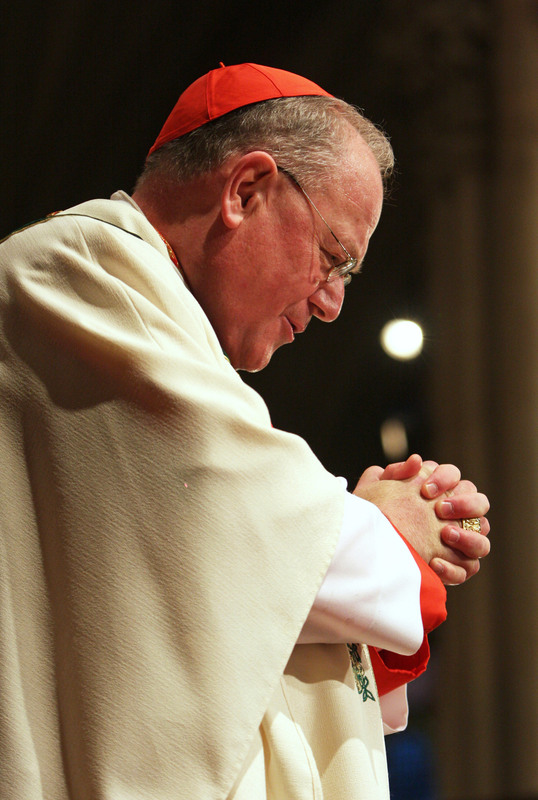 Obtain for Cardinal Dolan the grace to persevere in his faith and never to despair. May he walk with the Lord and trust in Him all the days of his life. 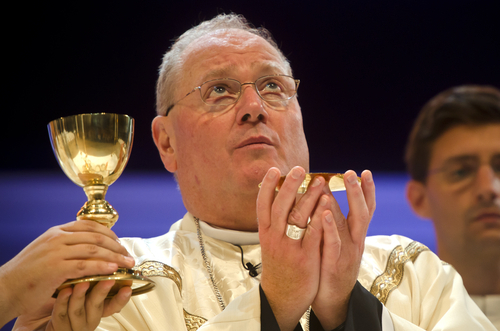 Obtain through your heavenly intercession, for Cardinal Dolan the grace of modeling his life after that of Jesus Christ, that his people will know the love of God. More than ever the people need him to be able to bring the world to Christ. 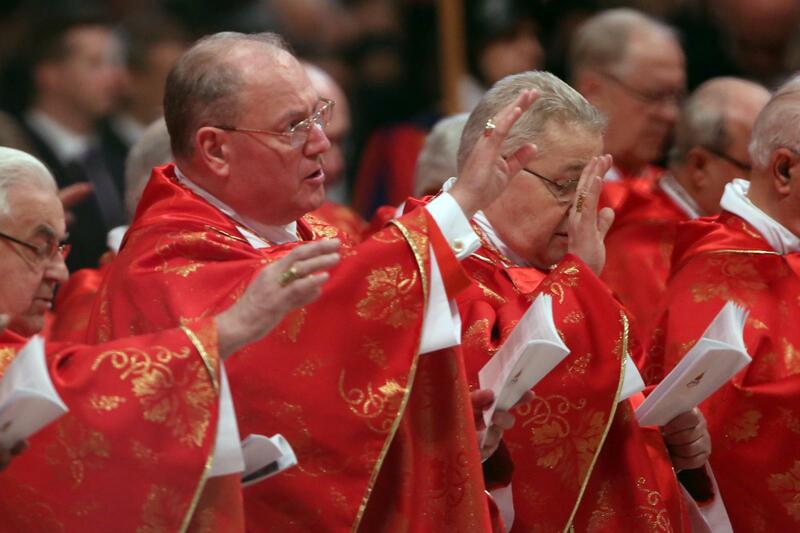 Pray for Cardinal Dolan and all Priests, O great Priest of Ars. O great St. John Vianney, in these days when we are surrounded by so many comforts and pleasures, it can be so difficult for us to do penance for our sins and live a life of detachment. 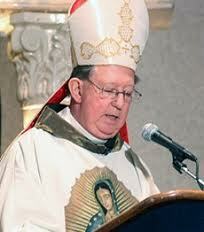 I resolve to offer some sacrifice today for the expiation of Cardinal Dolan’s sins and the sins of all mankind. Assist Father in accepting the cross God chooses to send him. 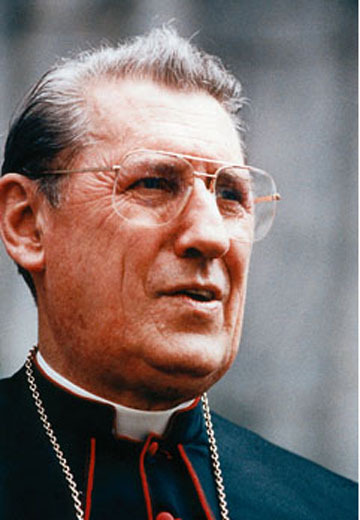 May he embrace the life of sacrifice to which Priests are called. May he willingly offer his whole life to God! 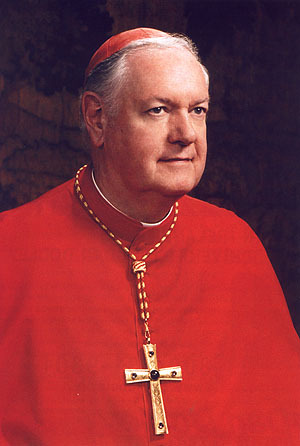 Obtain for Cardinal Dolan the grace to imitate the life of Christ by the bearing of His cross. O humble St. John Vianney, when Cardinal Dolan forgets he is totally dependent on God for everything, intercede for him with Almighty God, to allow him to see that without His Creator nothing is possible and that he must rely on God for everything. He is his Creator, who keeps him in existence at every moment. 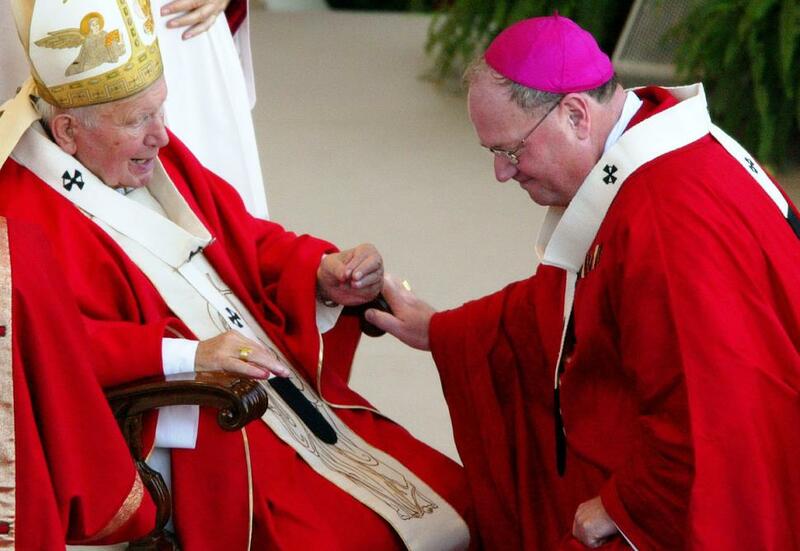 Obtain for Cardinal Dolan the grace of humility. May his life exemplify your humility and simplicity, a life uncluttered, a life totally dependent on God. O great St. John Vianney, more than ever before, we need your prayers and help in avoiding sins of impurity. 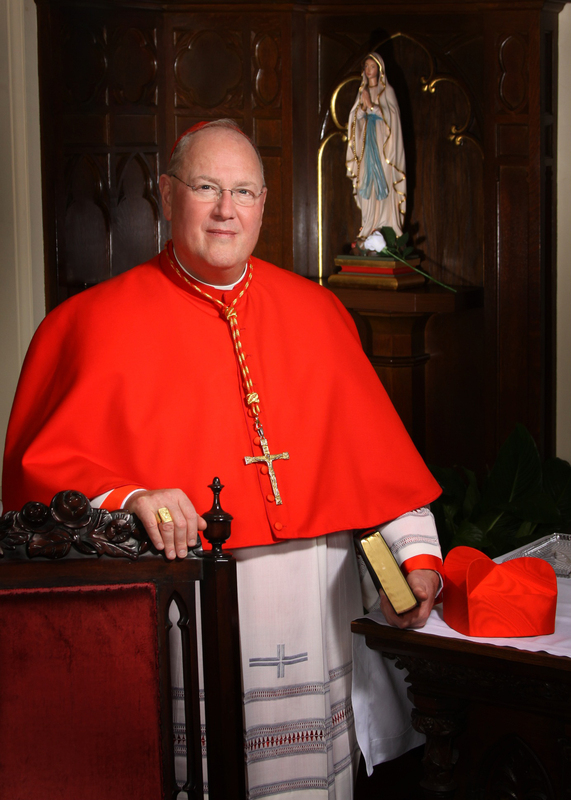 I ask you to help Cardinal Dolan to keep pure in mind and in body and give good example in his speech, conduct and in his faith. Obtain for him the strength necessary to combat temptations against the virtue of purity, which could lead him away from God. Unite your prayers with those of Mary Immaculate to implore God that Cardinal Dolan be pure in mind and heart and preserve him from those sins which are so displeasing to God.